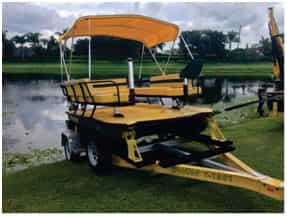 Weedoo Personnel Carrier Kit consists of three items: 1) the wrap-around seat assembly, 2) the Bimini top, and 3) the forward deck extension. 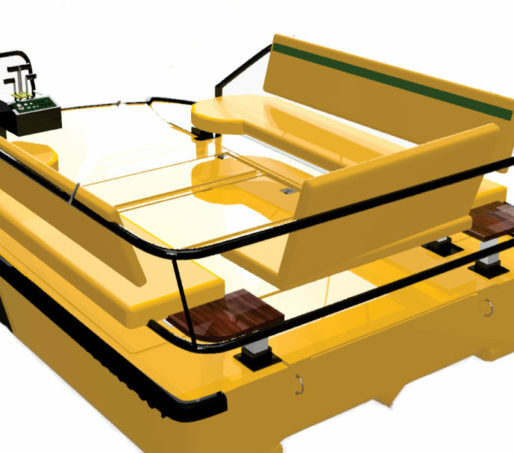 The kit is for owner of a Weedoo 300 series work boat that wishes to remove the work implements and convert it to a personnel carrier. •Weedoo A-1465 Quick-change Personnel Carrier Kit provides marine seating. Seats up to 8 persons comfortably. Weight 250 lbs. 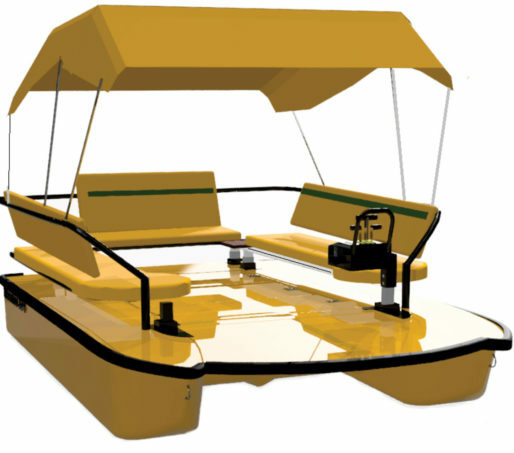 •Weedoo A-1463 Quick-change Personnel Carrier Kit provides retractable Marine Bimini sun top. Weight 75 lbs. •Weedoo A-1411 V-hull forward deck extention. This fiberglass panel mounts between the forward sponsons adding approximately 12 additional square feet to the deck. Weight 100 lbs.